Almost all of the things that we use today is being powered by electricity. That’s why the need for a sufficient amount of electricity is increasing every single day. Having a different option on where to get a supply of electricity is a good way to supply the demand for electricity. Good thing, the idea of solar energy has been developed during this time. A lot of things are now being powered by solar energy. With this development, the number of fossil fuels that is being used will be trimmed down. Today, the concept of solar energy is everywhere, we can see its application on different things like cars and satellites. And adding to the list where solar energy is being applied is on roads. The first country that had this type of road is the Netherlands. Solar road panels are made with layers of super-strong glass embedded with photovoltaic cells, electrical wiring and LED lights, which can be used to create signs on the surface directing traffic or alerting motorists to hazardous conditions. 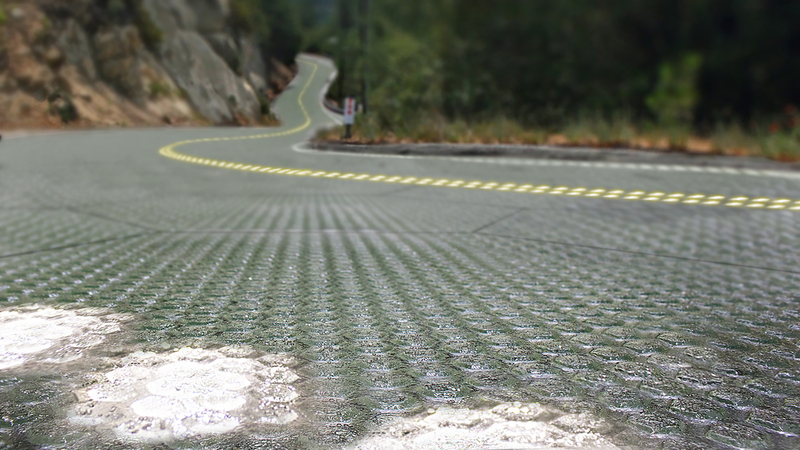 When connected between highways, residential streets, parking lots and driveways, the system of solar panels not only creates a vast, power-collecting network; it also creates a system of delivery that would eliminate the need for above-ground wires and dramatically reduce instances of widespread power failures Solar Roadways, the company that has produced this type of technology aims for a new energy future wherein all concrete and asphalt surfaces will be replace with solar road panels. If this will be implemented, this can cut the greenhouse gas emissions when burning fossil fuels into half. This will also replace our crumbling roads with a smoother surface while providing enough energy for the people. Want to know more about this awesome device? Follow this Link!